After the two deaths on Southeast Division Street Tuesday night, family members who have lost loved ones due to traffic violence want Portland City Council to take action. As we reported earlier this week, Kim Stone and Krisy Finney-Dunney — two of the founding members of the local chapter of Families for Safe Streets — are feeling Wednesday’s deaths with a particularly heavy heart. That’s because the two fatalities happened in the same intersections on Division that claimed the lives of their sons. 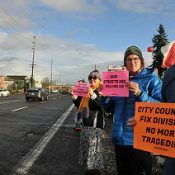 As families who know intimately the pain and suffering of losing family members to traffic violence, we call on the City of Portland to expedite major changes in order to slow speeds and increase safety for all on outer SE Division St.
Oregon and SW Washington Families for Safe Streets is comprised of families who have lost loved ones to fatal traffic crashes that were preventable. Yes, we call on all road users to own their responsibility for safety on our streets. We call on all drivers to choose to travel as they would have others drive around their loved ones–to drive at safe speeds, to not drive impaired, and to look for the other precious humans sharing the road. But when crashes happen again and again on the same corridor, we know the road design itself is part of the problem, and we also call on government to act swiftly to make the necessary changes to protect future families from the senseless loss of cherished loved ones. OR Families for Safe Streets came out in numbers to support the passage of the City of Portland’s Vision Zero Action Plan. We applauded PBOT staff for developing the plan with a robust community stakeholder engagement process, and we celebrated City Council members for voting unanimously to pass the plan. However, we are left feeling like the City’s commitment “to eliminate deaths and serious injuries for all who share Portland streets” is false when we stand by and watch repeated fatalities take place on the same corridor without executing the kind of road re-engineering that our Portland Bureau of Transportation knows can save lives. Two of our founding members lost their sons, young men filled with promise, joy, and love for family and friends, to crashes on outer SE Division. On the 2015 World Day of Remembrance for Road Traffic Victims, we placed 13 memorials along SE Division St. where people had been killed. Since then, five people have died on SE Division in 2016 alone. This week two people were killed on the same day at the exact same locations where we lost our own children, Joe and Dustin. As families that know the pain that two more families are now experiencing, we cannot stand by and wait any longer for changes. We demand action now. We call on the City of Portland to re-engineer SE Division St. immediately and to demand the ability to lower posted speeds from the State Speed Board or Oregon legislature. As those most impacted by traffic violence, we call on the City of Portland to direct their attention and the necessary resources to our high crash corridors and especially outer SE Division now. 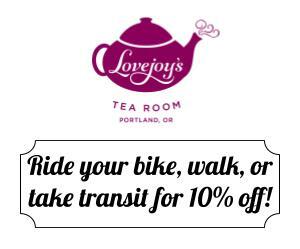 Don’t let the commitment to Vision Zero sit on the shelf as a broken promise to all who share Portland’s streets. 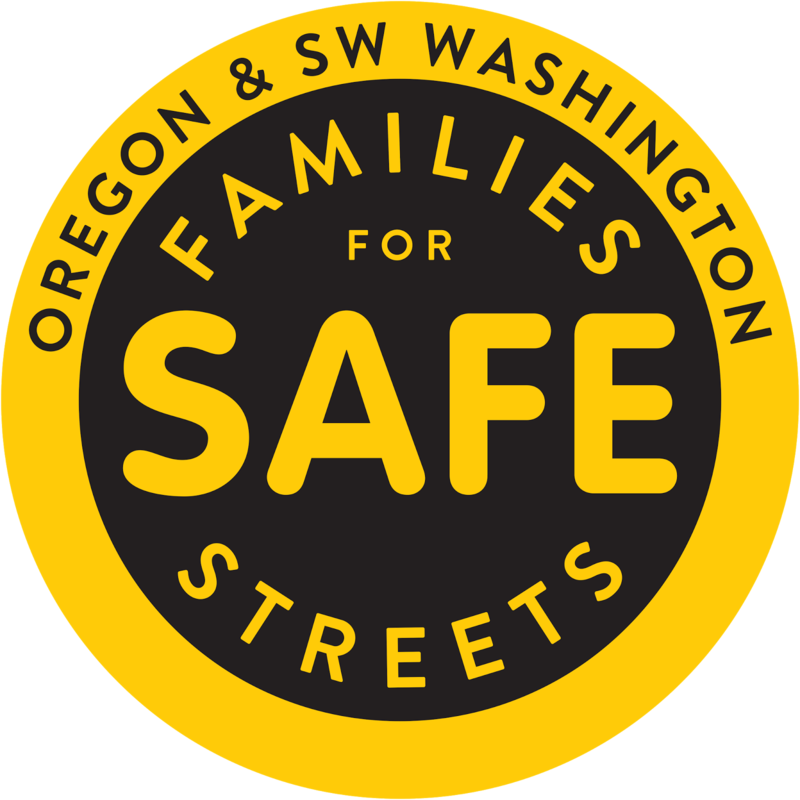 Oregon and SW Washington Families for Safe Streets formed just over a year ago and is modeled directly after a group with the same in New York City. 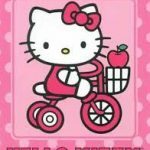 Bike Loud PDX has put together a “citizen-led emergency traffic calming” event on SE Division that will take place tomorrow (Saturday 12/10) at 2:00 pm. They plan to “takeover” the wide, nine-lane thoroughfare by occupying the outermost lanes while holding signs and interacting with passersby. Just last month Families for Safe Streets held a “Remembrance Day” for victims of traffic where they released their first-ever policy platform. 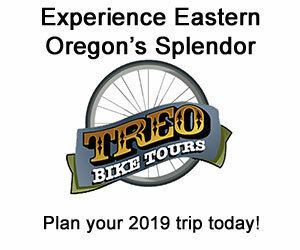 Focusing on road user education, the group wants more frequent driver testing, changes to the Oregon driving and cycling manuals, mandatory driver education classes, and more. With city offices closed due to weather today, it’s unlikely we’ll hear any response from Mayor Charlie Hales and the other commissioners until next week. Beautiful letter. I hope you sent it to our incoming Mayor and new Commissioner as well? 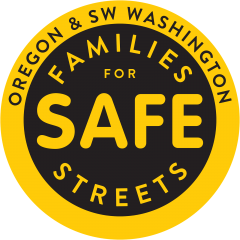 Thank you everyone from OR Families for Safe Streets for your relentless dedication to making our streets safer. I can’t imagine how badly these recent traffic fatalities must sting, which makes it all the more remarkable that you are able to pen such a poignant letter to the City. 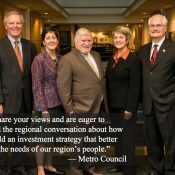 City Council talks. They don’t act . Seattle acted to drop default speeds everywhere to 25. Kyle Chisek from PBOT told earlier this year of the denial of the request for a lowered speed limit to 30 mph for outer SW Vermont Street. Just wow. joe…could you cite the source from which you got that quote from PBOT’s director? If the source you drew the comment from, shows she made that statement in regards to the fatalities of last Tuesday on Division, I think that’s clarification all of us reading here would benefit from knowing. 35 sounds high for an urbane street, but 45 is common and won’t get you a ticket. 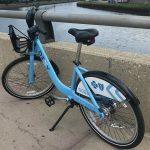 25 MPH would save lives, but would require enforcement. Is anyone willing to enforce speed laws on city streets where there may be a disproportionate number of minorities? I think adding focus on the skin color of the drivers does no good. How about we pull over the SPEEDING ones? Focusing on the skin color of the drivers matters when black and brown people are being targeted at a higher rate than whites. Then focusing more on their behavior than skin color can’t help but benefit the situation. White people are also far less likely to be shot by police during a traffic stop. Unless they should happen to be poor. In which case they would make up the majority of people who happen to be shot by the police each year. Of course, one could adjust for population size on a national level, aggregating peaceful working and middle class neighborhoods into the mix and back up something like what you said. But hey, statistics can be manipulated, we learn that in statistics 101, right? So, it’s maybe not the strongest foundation to stake sweeping claims upon. I would argue solid street engineering would go a long way to firmly encouraging slower speeds. Very little change happens until something happens to the people who can facilitate a change. I really don’t want to be disrespectful, but I remember how quickly the I-5 center barrier south of Portland was completed after Steve Fritz and his passenger were hit on their way to Salem by a pickup driver that crossed over the freeway median after being splashed with rain water by an oil truck. Is it because Fritz has a lot of pull down at ODOT? I’m nearly certain more pull than my wife would have. The problem with having a multi-year plan like Vision Zero is that it can distract everyone away from immediately addressing known problems, even if temporary solutions must be adopted that aren’t optimal. 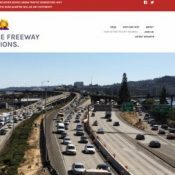 Why isn’t PBOT asking itself what it can do in the next 90 days to reduce traffic deaths? I am genuinely curious about Leah Treat’s reaction to the last two fatalities on Division. Does she think there was nothing she could do? Does she think that it mostly comes down to pedestrians and motorists being more “responsible,” with government having minor responsibility? In my view, this whole issue of enforcement disproportionately affecting people of color is a smokescreen or possibly even racist. Is the view that minorities disproportionately violate the traffic code? What data do they have? That’s not what I observe. Competent managers can monitor and manage an enforcement program so that it does not disproportionately affect people of color. There certainly can be alternative penalties so that traffic fines don’t hit the poor too hard. These are all issues that can be dealt with and managed. What’s the real reason that the City won’t step up traffic enforcement? I don’t know. Budget? Because it’s politically unpopular? Officer shortage? Something else? I don’t know, but I think they should be challenged to justify the claim that stepped up enforcement must unavoidably affect people of color disproportionately. I don’t think they would get away with this in any other area of law enforcement. PBOT is behind on installing the automated speed cameras that were supposed to be installed on Division by now. 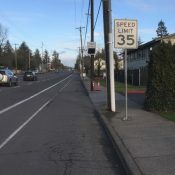 The one on SW Beaverton-Hillsdale Highway has been effective in slowing people down: http://www.wweek.com/news/2016/11/23/portland-officials-begged-state-lawmakers-for-authority-to-erect-new-speed-cameras-they-installed-them-very-slowly/ and http://www.oregonlive.com/commuting/index.ssf/2016/11/portland_speed_cameras_issuing.html. While these high-crash corridors need more than just cameras to make them safer, the automated speed cameras should be installed sooner rather than later throughout the city. My deepest condolences to all of the families that have lost loved ones on our streets. Let’s use all the tools we have to make our streets safer. Speed cameras actually work on SE Stark in the Mall 205 vicinity. Technically, those are red light cameras at intersections, not speed cameras along straight-aways. When people say PBOT did nothing in response to this letter and to the action yesterday on Division St, that’s not exactly true. I mean, they came and removed the hay bales. So they were actively involved in restoring the deadly nature of the street, because it’s what their narrow job description tells them to do. What concerns any city employee is not what’s safe or not safe; it’s what they might be liable for. A deadly street built in accordance with the various engineering and planning manuals is preferable over a safer street that has no legal protection in an approved design manual. I wonder how our resident PBOT employee commenter will respond to this.